The demand for translation professionals is increasing every day. In the last three years, there has been a drastic increase in business in translation companies. Translation is one of the very few sectors where humans have better productivity than smartphones and laptops. In this article, we will see the best translation service companies. In the list of the best translation companies, Starker Translations will clinch the top spot. They have a very strong presence with twenty offices worldwide. They also have 24/7 working customer care. They are known for their language quality and accuracy which clearly makes them exceptional in every aspect. Mars Translation Services is considered to be one of the fastest growing companies in the translation industry. Being in a very competitive market, they make it a point not to compromise on the quality of the service that they provide. Their translation is not just accurate but also localized. Mars Translation Services has the biggest pool of translators in the world. They have nearly five thousand well-experienced translators who can provide great translation services. One Planet is definitely one of the most cost-effective translation companies. They provide amazing services at an affordable price. Like many in the competition, they provide their services to various sectors. They are constantly developing and increasing their market. Their main aim is to provide good services to at affordable rates. Gengo is an ISO certified company that has managed to stay in business for a long time. Gengo was once considered to be the best in the industry. As years passed the Japanese company lost its dominance and significance in the global market. They are capable of providing translation services in thirty-seven languages. Their translations are perfect and precise. If there is one accusation on them, it would be the certification of their translators. Gengo does not give much of an importance to certification. Babylon Professional Services is definitely one of the oldest translation companies. Since they have a lot of experience in the field, they have managed to live up the expectation of their clients. The quality of translation is surprisingly high for the rates that they charge. The company has an amazing customer service that functions 24/7. Edge Translation is one company that has been reviewed by a lot of people many times. It has managed to stand the test and grab a position among the best. 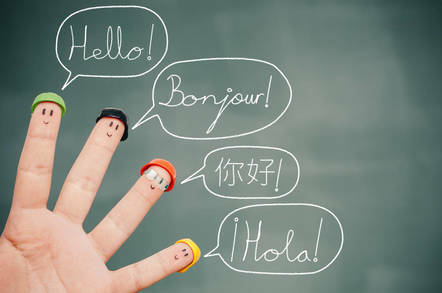 Even though they provide translation for limited languages, they make it a point to provide the best quality services. One thing that sets them apart from the rest is that they provide translation for various sectors like legal, education, literature and marketing. Dynamic Language is an ISO certified company. Even though they provide exceptional services, the major disadvantage that they have is their pricing. When compared to the rest in the list they are pretty expensive for the service that they provide. But they are absolutely flawless when it comes to their translation services.